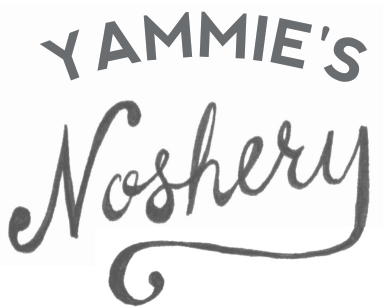 I've made you caramel pretzel brownies, cheesecake swirled brownies, buckeye brownies, rainbow brownies, German chocolate brownies, gluten free brownies, brownie cookies, cookie brownies, cookie dough brownies, mint chocolate chip brownies, s'mores brownies, even healthy brownies. 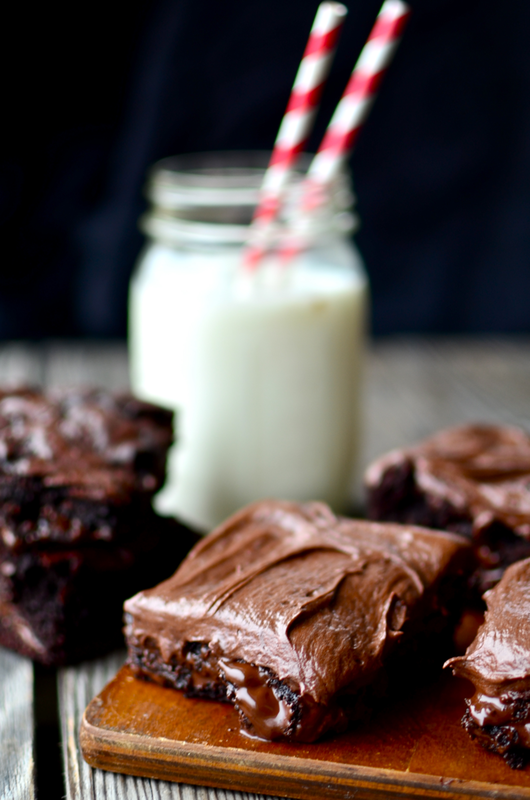 Sometimes though, there are days that call for a simple, basic brownie. 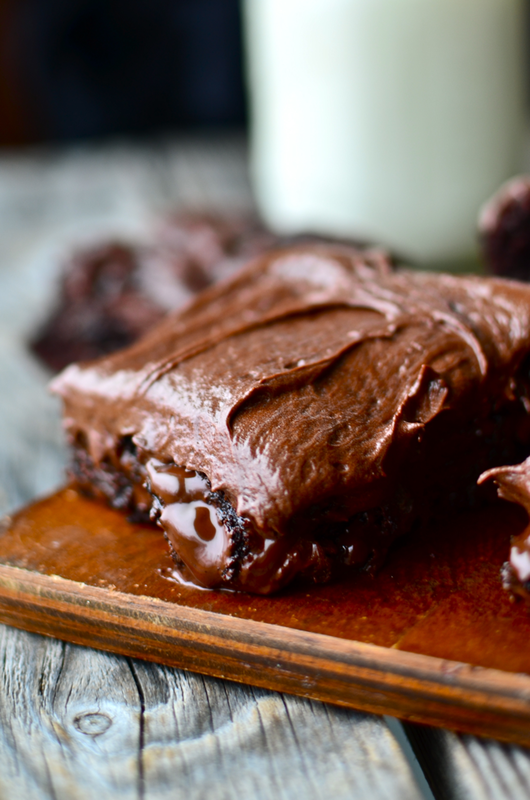 These brownies are gooey and chewy and they are intensely chocolately because they're made with dark cocoa powder and loaded with dark chocolate chips. They're based on recipe for my frequently requested (or to be more realistic, biweekly demanded) Caramel Pretzel Brownies. 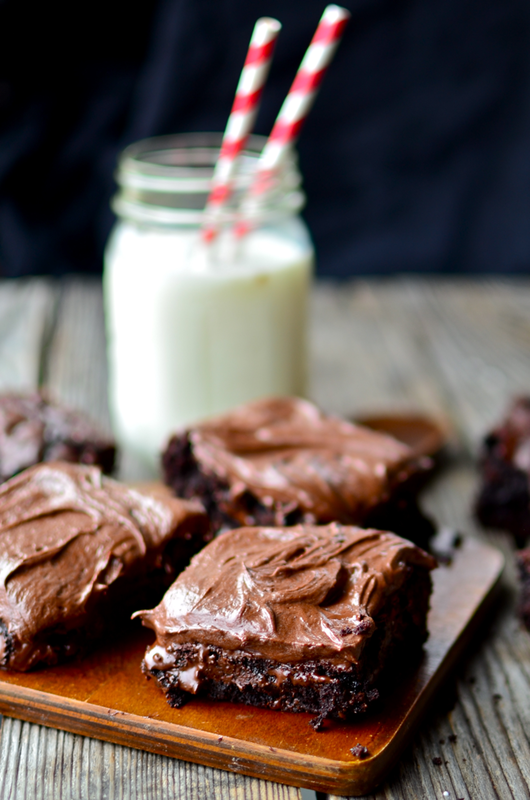 So if you're ever in the mood for basic black without all the fancy accessories, these brownies are the way to go. Enjoy. Grease a 9x13 inch pan and preheat oven to 350ºF. Combine the sugars and butter in a microwave save bowl and cook in the microwave until the butter is melted. Allow to cool slightly. Add the eggs and vanilla. Combine the cocoa, flour, salt, and soda and add to the butter mixture, stirring until smooth. Stir in the chocolate chips. Pour batter into prepared pan and bake for about 30 minutes. 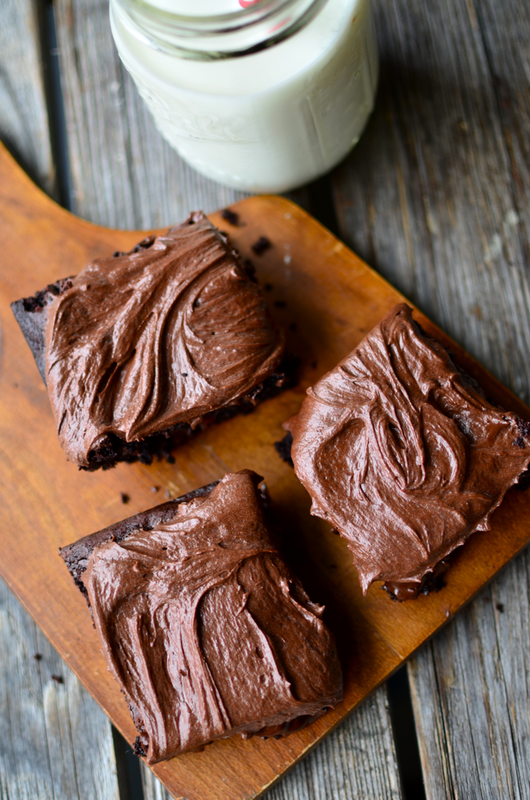 Frost cooled brownies with chocolate frosting (recipe below). Combine the butter and cocoa and cook on the stove or in the microwave until the butter is melted. Add the vanilla. Alternately add the powdered sugar and milk, mixing well after each addition. 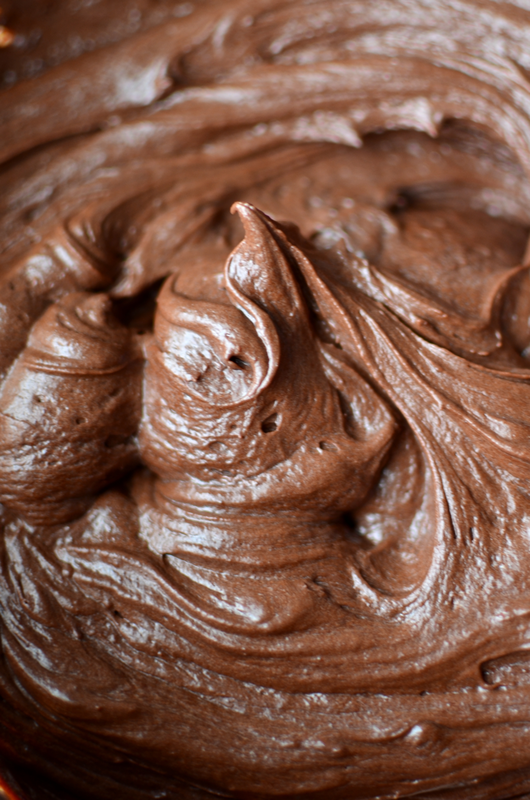 Add more milk about 1 tablespoon at a time if necessary until the frosting is smooth and glossy. Add a pinch of salt.